In a world first, QUT's underwater robot RangerBot has been transformed into LarvalBot by QUT's robotics team, led by Professor Matthew Dunbabin from the Institute for Future Environments. The technique of delivering reared coral larvae onto reefs is known as 'larval restoration'. Professor Dunbabin is working with Southern Cross University's (SCU) Professor Peter Harrison—pioneer of the coral larval restoration technique (coral IVF) - who is heading the overall research project. The collaboration between QUT and SCU, funded by the Great Barrier Reef Foundation, aims at restoring damaged parts of the Great Barrier Reef and speeding up the recovery of ecosystems affected by coral bleaching. "We concentrate the larvae and put some of these into LarvalBot to gently squirt the larvae onto dead reef areas allowing it to settle and transform into coral polyps or baby corals," Professor Harrison said. "The surviving corals will start to grow and bud and form new colonies which will grow large enough after about three years to become sexually reproductive and complete the life cycle." 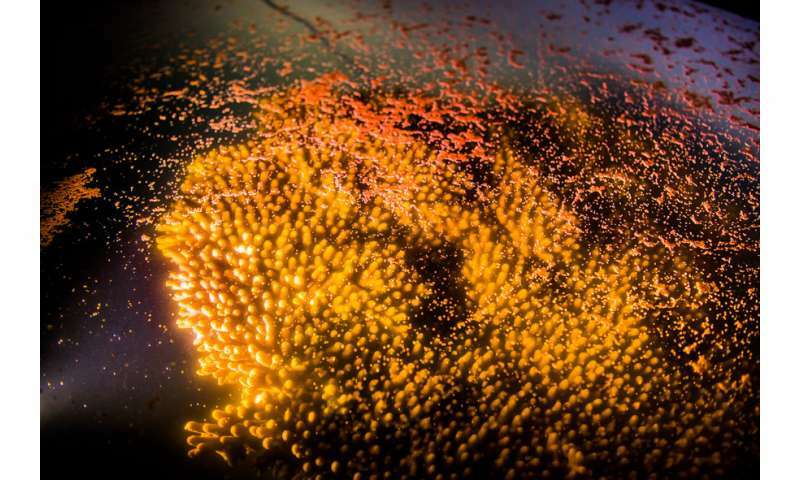 The spectacular synchronised spawning of coral reproduction on the Great Barrier Reef is a highlight on scientists' calendars worldwide and is expected to take place in late November. The researchers say by giving nature a helping hand through artificial means, it allows up to a 100-times increase over previous methods. Professor Dunbabin said delivering baby corals and helping grow the Great Barrier Reef builds on the pioneering robotics technology developed to help control the crown-of-thorns starfish. "I am passionate about protecting the reef in any way I can and extremely excited to have the opportunity to work with world leaders in coral reef restoration," Professor Dunbabin said. "We aim to have two or three robots ready for the November spawn. One will carry about 200,000 larvae and the other about 1.2 million. 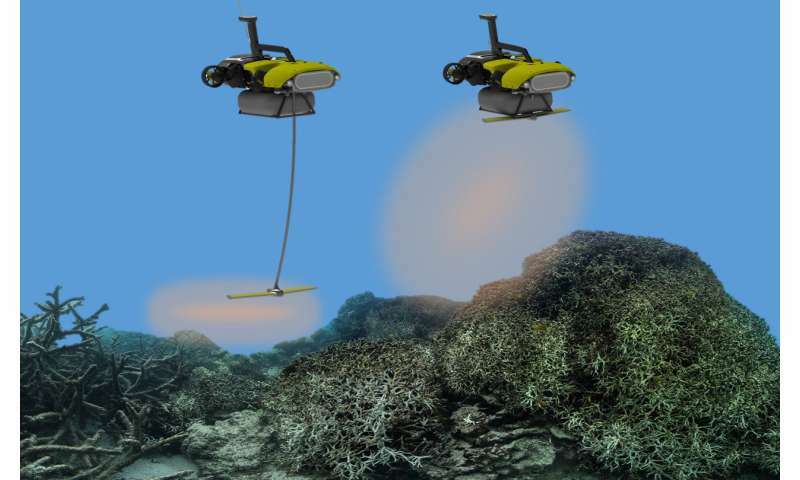 "During operation, the robots will follow preselected paths at constant altitude across the reef and a person monitoring will trigger the release of the larvae to maximise the efficiency of the dispersal." Professor Dunbabin calculated the dispersal would cover 1,500 sq.m/ hour per robot. "This has the potential to revolutionise coral restoration on reefs worldwide," said Professor Peter Harrison. The project has come to life after the researchers won $300,000 from the Great Barrier Reef Foundation's Out of the Blue Box Reef Innovation Challenge supported by the Tiffany & Co. Foundation. The Foundation's Managing Director Anna Marsden said the recent IPCC report reinforced the closing window of opportunity for the world to act on climate change and the sharp threat facing coral reefs globally. Professor Dunbabin said it was hoped reef rangers and other managers would use the technology in the future. "Whilst this is new, we have trialled the different technologies and are confident of its success," he said.